Looking for digital mapping solutions? These nifty tools make property viewing so easy they’ve got it down to the street-level viewing. Create a shortlist of homes for your clients based on location. Take the digital map with you on the road as you search out. Plot points of interest like homes to visit, school location, nearby shopping areas and doctor’s offices. Get the images up to Flickr or your other mapping service accounts — complete with titles and geotags. 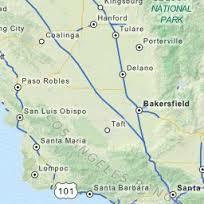 All these and more are possible with the right mapping software. Streets & Trips allow you to drop “pushpins” on locations in GPS mode. On the pushpin balloon, you can type in notes, hyperlinks to websites or to your own photos. 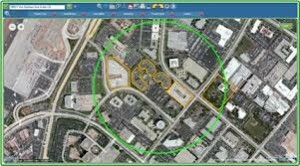 This offline mapping software also has analysis tools so you can highlight geographic pros and cons to a prospective home location. However, the program’s dark interface and clumsy-looking icons leave much to be desired. If you prefer a mapping software that gets images into your Flickr or Google Maps account quickly without affecting the image quality, then RoboGeo will work for you. You can stamp your images with local time, latitude and longitude (even altitude), direction and other data. You may also integrate dictation files with your photos. RoboGeo works pretty well, although support isn’t very helpful. 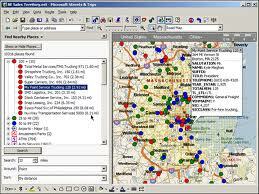 Get all the info you need about properties with this useful mapping software. LandVision provides you with search options, analysis tools, map perspectives and property data all in one program. This mapping solution allows you to search for portfolios of property owners, property records, aerial images, environmental hazards, foreclosures and tons of other specs. 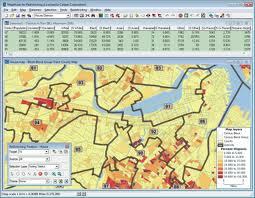 If data analysis and property research is your cup of tea, then this software is perfect for you. This public service by the Florida International University is supported by USGS, NASA and other agencies. Get all the basic geographic info that you need by using the satellite or aerial view maps of Terrafly. Click on specific areas for stats based on the latest census data which includes demographics, real estate prices, quality of life and so much more. 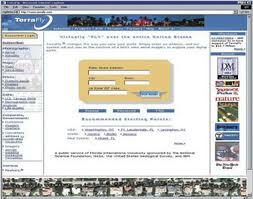 However, be aware that Terrafly is partly based on census data which is updated only every ten years. One of the smartest mapping software ever, Google Maps uses the power of Google Earth and its search engine to provide you with route maps, turn-by-turn driving directions, 360 degrees street view, business listings and reviews, photos and videos by users, points of interest within the area and a lot more. While it is easy to use, Google Maps does not offer offline navigation which is a bummer. TNP has it all: high-res scans of topographic maps and current aerial photographs with street layer all in 3D. Plus the usual; plot positions and customize it with labels, marks, data, notes, follow a route or track, sync your high-res photos and generate a property boundary. TNP also allows you to publish and paper-print your maps personalized with logos, legend, texts and other options. It’s a great mapping software, only that it’s a tad pricey. The quality of NASA World Wind’s satellite imagery is fantastic. Highly detailed perspective by a variety of maps allows you to view the earth in different colors. 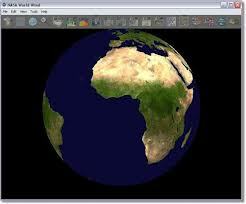 Search for a particular destination, country borders and urban areas with this 3D earth viewing software. The program uses 6 governmental sources to give you a precise earth/location viewing experience. However, the screen gets overcrowded with information the closer you zoom in on a particular area. Pull up a local map, add markers, search for points of interest and nearby businesses, view traffic information, explore a street level with a 360° view and get turn-by-turn driving directions using this nifty mapping service. You can also find alternative driving routes by clicking and dragging points through areas of your choosing. Users of the android version may find the app buggy and prone to crashing. Visualize and geo-code your comparable properties with this quick analysis tool. 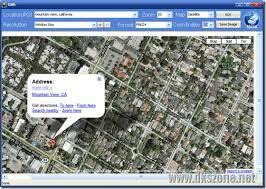 The service uses google maps, and it can churn out a customized, credible map in one minute. Start with an MS Excel list of all the properties you’d like to map. Make sure data is separated in columns like address, city, state then add your extra info (sale price, property size, etc.) in the columns after. Paste your data to BatchGeo and voilà! You get a personalized, comprehensive map of your comparable properties. 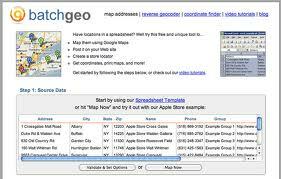 This Geographical Information System (GIS) application and mapping software shouldn’t intimidate users who don’t have an engineering degree. This program is surprisingly easy to use, unlike other GIS programs in the market. Generate quality presentation maps, refine searches with tools, demographic information and geographical pattern and do so much more with this great GIS app. If you’re looking for data visualization and geographic analysis, Maptitude is your best bet. The best mapping software should come with all the tools you need for research and data-gathering. 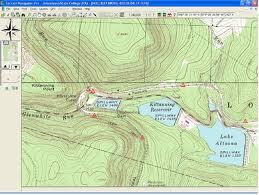 You can never go wrong with any of these ten great mapping programs. Go ahead and pick one that suits your needs best.